The important conversation continues on the NewSouth edition of Mark Twain’s Adventures of Tom Sawyer and Huckleberry Finn. On last night’s episode of 60 Minutes, reporter Byron Pitts held a far-reaching conversation with NewSouth Books editor Randall Williams and University of Oregon professor David Bradley about the controversies surrounding Twain’s works, the use of racial epithets in today’s society, and NewSouth’s publication. We respect Dr. Bradley’s belief that a full exploration of Tom Sawyer and Huckleberry Finn requires a discussion of the epithets; as Williams told Pitts, we encourage teachers who feel comfortable addressing the epithets to continue to teach original editions of Twain’s works. The NewSouth edition remains an alternative for teachers who want to use the books in their classrooms, but are unable to present them in their original form because of pressure from parents or administrators to exclude the books. View the full interview with Randall Williams on the 60 Minutes website. You can also watch extra material, including Pitts and 60 Minutes editor Ann Silvio discussing 60 Minutes‘s decision to use racial epithets, and unaired segments from Pitts and Williams’s conversation (embedded below). Mark Twain’s Adventures of Tom Sawyer and Huckleberry Finn: The NewSouth Edition is available in paperback and ebook from NewSouth Books, Amazon, or your favorite local or online book retailer. Civil rights activist Bob Zellner continues to advocate for equality and understanding even while balancing some newfound attention. Zellner has been interviewed for an Oprah show segment on the fiftieth anniversary of the Freedom Rides set to air May 4, and and pre-production activities continue on a feature film to be executive produced by Spike Lee based on Zellner’s award-winning memoir, published by NewSouth Books, called The Wrong Side of Murder Creek: A White Southerner in the Freedom Movement. Zellner also appeared on an episode of the Investigation Discovery channel’s Injustice Files, which focused on the unsolved murder of Congress of Racial Equality member William Lewis Moore. Moore, a white postal worker, conducted solo protest marches for civil rights in the 1960s; he was shot and killed in Alabama during one of those marches. For perspective on the danger Moore faced as a white civil rights activist in the South, Injustice Files host Keith Beauchamp asked Zellner to describe his own experiences. At Zellner’s first protest, he told Beauchamp, pro-segregation activists beat him “very severely,” gouging his eye and threatening him with a hangman’s rope. “What they didn’t understand,” Zellner said, “is we weren’t just fighting on the side of black people; we were fighting to liberate ourselves” from the racist ideology. Zellner also recently spoke at the first of California State University’s 2011 Diversity Day programs, relating his first forays into civil rights activism. Zellner’s father and grandfather were both members of the Ku Klux Klan, and it was not until a college assignment that Zellner attended a civil rights rally that included Martin Luther King and Rosa Parks. As reported in the Monterey County Weekly, Zellner credits Parks’s advice — “If you see something wrong in the world, you have to do something about it. You can’t just keep studying it.” — with inspiring him to join the Student Nonviolent Coordinating Committee and to continue to advocate for civil rights. Zellner also described trying to protect the Freedom Riders in Montgomery: “The Klan stopped the bus, blew out the tires and burned the bus up with the Freedom Riders on board. Everybody escaped, but some were really injured for life. 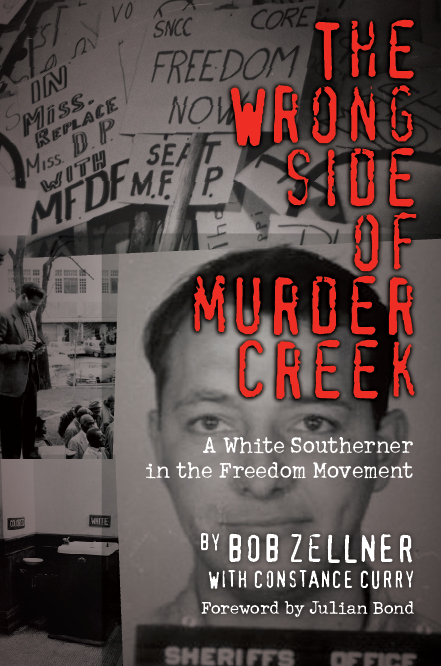 It was such a murderous mob that they were really attempting to kill the Freedom Riders, attacking them with bricks, leaving some for dead in the streets.” Zellner recounts in greater details these and other events in The Wrong Side of Murder Creek. Watch a segment from Injustice Files at the show’s website. You can also read about Bob Zellner from the Southampton Press and Monterey County Weekly, or visit Zellner’s own Zellner Blog. The Wrong Side of Murder Creek, by Bob Zellner with Constance Curry, is available from NewSouth Books, Amazon, or your favorite local or online book retailer. NewSouth Books never published Grand Old Days of Birmingham Golf, 1898-1930 by Virginia Pounds Brown, fondly recalled in a story by Ian Thompson that ran February 17 in The Birmingham News. But we are lucky to have acquired rights to reissue two classic works by the author, The World of the Southern Indians and Southern Indians Myths and Legends. monsters and spirit folk, Southern Indian Myths and Legends provides informative, enjoyable first-hand accounts of the myths and legends that are the foundation of Southern Indian cultural history. Virginia Pounds Brown and co-author Laurella Owens have performed an important service in preserving and transmitting these stories, and NewSouth Books is proud to make them available once again to educators and young readers. 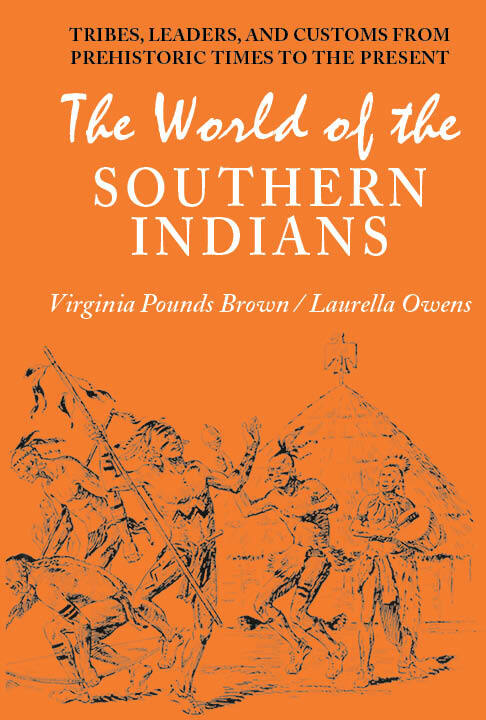 The World of the Southern Indians is available from NewSouth Books, Amazon.com or from your favorite retail or online bookseller. Southern Indian Myths and Legends is forthcoming in late fall 2011. Browder, a South Carolina native and a professor emeritus at Jacksonville State University in Alabama, said he started thinking about the role biracial politics played in the civil-rights movement. He contacted Stanberry, who worked as his congressional aide and is now a political science professor at North Carolina Central University, to help him with the project. Said Browder: “The heroic drama involved Dr. King and Rosa Parks on one side and you had Bull Connor turning fire hoses on people and George Wallace standing in doors of universities on the other side, but it occurred to me a lot of change was not of that nature. The authors said the work of these leaders was done “stealthy” or in secret. They said there had to be a transition right after the civil-rights movement made up of leaders and politicians interested in moving the South beyond segregation in the 1970s through the ’90s. “It had to be done stealthy because white politicians wouldn’t have been able to get elected if people knew what they were doing and black leaders couldn’t get elected at that time,” Browder said. “Civil disobedience helped to change laws in the legal system, but there was mass resistance. Read the full article from the Winston-Salem Journal. 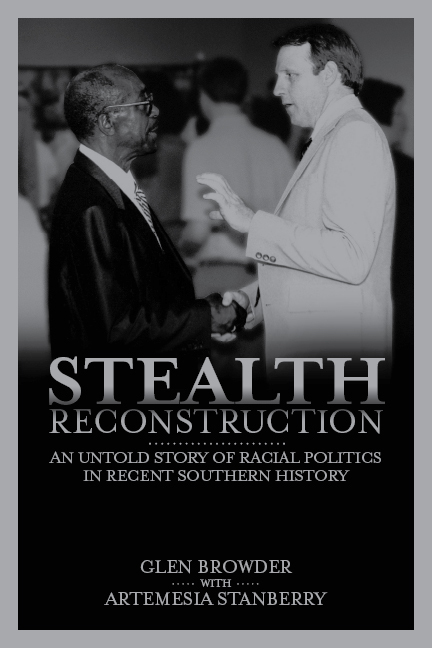 Stealth Reconstruction: The Untold Story of Southern Politics and History is available from NewSouth Books, Amazon.com, or your favorite online or retail bookseller. You are currently browsing the NewSouth Books weblog archives for March, 2011.